Diapers with Winter Prints Get $20 Off Winter Prints + FREE Shipping on your first month’s Diapers + Wipes Bundle! What a great Deal! There are 5 different Winter Theme Prints to chose from. Cannabidiol (CBD) is a is a non-psychoactive component of Cannabis. It is a natural ingredient found in the Hemp Plant. You don’t get high or “stoned” from CBD because id does not contain THC. The medicinal value of the plant, comes from the CBD, not the THC. Some of the Ailments that benefit from Cannabidiol are Anxiety, Sleep Disorders, Pain, such as Headaches, Inflammation, Nausea, MS, PTSD, Parkinson’s, Epilepsy, Alcoholism, Spasms, Rheumatoid Arthritis, Schizophrenia, Diabetes and Chronic Pain. Healthy Leaf CBD uses proven, natural ingredients that are toxin-free. CBD is 100% natural and does not contain any dangerous or synthetic chemicals or stimulants. The best part of Cannabis CBD is it does not contain THC. The THC is the chemical that gets Marijuana smokers High. The fact is that the medicinal value of the plant, comes from the CBD, not the THC. CBD Oil from the Hemp plant does not contain illegal amounts of THC, it is legal in all 50 states. DO NOT confuse Cannabidiol with cannabinol or cannabinodiol. What is the Bread Tag Color Code? The Bread Tag Color Code of the tags show what day the bread was delivered to the store, since it is delivered fresh, it’s usually also the day it was baked. Some companies might have their own coloring system, just ask in the store! Waking up early on a weekend when you were planning on sleeping in? It’s because of your inner clock, which is set by the day and night cycle, and it does not know you want to sleep longer! Your rhythm determines when you get tired, your heart rate, your breathing, the body temperature and hormone levels. When you are aware of this, you do better if you tackle activities at certain times of the day. Help your body to be awake by exposing it to light and sunshine. The risk for heart attacks or stroke is highest at this time interval. This is the best time for difficult tasks! Body and mind are in top shape! There is an increase in Adrenalin production. Your stomach is getting ready for lunch by producing more stomach acid, carbohydrates and fats are digested well! After lunch our digestive system kicks in, you are getting tired, a good time to take, a nap if you can. A visit to the dentist, for example, is best scheduled at this time since your pain tolerance level is higher. This is a good time for physical activity. Your longtime memory is optimal now, a good time to work on projects. Stomach and intestinal tract have the highest blood circulation and medications are absorbed the best this time of day. Your bladder works best also, so drink a lot of fluids to help your body get rid of toxins. This is the time to have a beer or a glass of wine, liver and pancreas are active. Don’t eat too late, it’s better for the stomach and the spleen so they get rest and regenerate over night. The early evening is a good time for Yoga or Meditation. No food, chips and soda, they interfere with the rest phase of your digestive track. Unwind, turn the TV off, no computer and don’t play on your smart phone or tablet, it messes with your inner clock! About 9:00 pm, the hormone levels that help you sleep, increase , around 11:00 pm, your pulse and blood pressure decrease. Your body rests and regenerates for the next day! 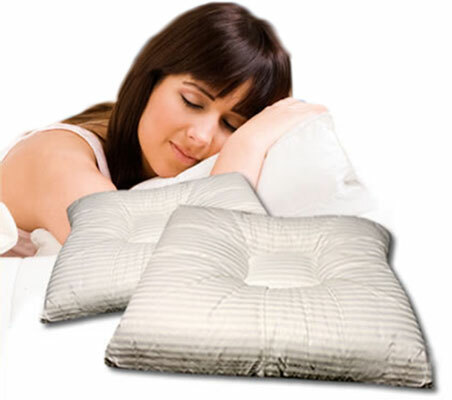 Try to get enough and restful sleep! Looking for something different for a yummy dessert? 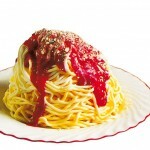 Try Spaghetti Ice Cream! It is made with Vanilla Ice Cream, homemade Whipping Cream, Strawberry Sauce and White Chocolate! Check out the Website, it has all the resources you need, instructions, recipes and an “How to Video”! In order to make this delicious dessert, you need a ricer. SpaghettiIcecream.org offers a variety of ricers, but this particular one is top of the line! Durable, dishwasher safe and made in Italy! Did you ever hear people say: ” I can’t tan, I have to burn first ?” Well, I have seen plenty of lobsters out there, and you really don’t need to look like one, to tan. A friend of mine, a red head, notorious for sunburns, goes on a cruise once a year. She usually burns, and figured, why even bother with sunscreen? I explained the whole SPF thing to her, and she decided to try it. On her next cruise, she slapped on the sunscreen, tried to stay out of the sun during peak sunburn hours (10 am – 4pm) and got a nice surprise! For the first time, she did not get a sunburn and she had a nice little tan ! She did, however, burn her lips, she did not think to put a lipstick or lip balm with a sunscreen in it, on. So it is possible to tan without getting burnt, even for red heads. Of course, having a tan means you have sun damage, unfortunately. Sunscreens are products combining several ingredients that help prevent the sun’s ultraviolet (UV) radiation from reaching the skin. Two types of ultraviolet radiation,UVA and UVB, damage the skin and increase your risk of skin cancer. Sunscreens vary in their ability to protect against UVA and UVB. Ultraviolet (UV) radiation is part of the electromagnetic (light) spectrum that reaches the earth from the sun. It has wavelengths shorter than visible light, making it invisible to the naked eye. Ultraviolet A (UVA) is the longer wave UV ray that causes lasting skin damage, skin aging, and can cause skin cancer. Ultraviolet B (UVB) is the shorter wave UV ray that causes sunburns, skin damage, and can cause skin cancer. We all need to put on sunscreen every day.Infants need to be kept out of direct sunlight until they are 6 months old. Keep them in the shade and cover up their skin. After that, they may be able to use sunscreen (check with your pediatrician). They should always wear a sunhat when they are outside. For women it’s easier, since a lot of day creams and make up have sunscreen in it already. I guess there are even after shave lotions now, that have sunscreen in them.That’s only good enough for every day use though, if you are going to be outdoors for longer periods of time, you need to cover your whole body with sunscreen! Use about a shot glass full of lotion at a time. You need to reapply every 2 hours, especially after swimming and toweling off, or sweating a great deal. In Hawaii, I have observed a lot of (mostly Japanese) women, who are covered from head to toe and also carry an umbrella with them, they don’t want to take any chances. That is, of course, the best protection, clothing ! Not all clothing is created equal though.UPF stands for Ultraviolet Protection Factor and indicates how much of the sun’s UV radiation is absorbed. A fabric with a rating of 50 will allow only 1/50th of the sun’s UV rays to pass through. This means the fabric will reduce your skin’s UV radiation exposure significantly, because only 2 percent of the UV rays will get through. The easiest way to test if a fabric can protect your skin is to hold it up to the light. If you can see through it, then UV radiation can penetrate it – and your skin.The color of the fabric also plays a role. Darker-colored fabrics are more effective than lighter at blocking out the sun. For instance, the UPF of a green cotton T-shirt is 10 versus 7 for white cotton, and a thicker fabric such as velvet in black, blue or dark green has an approximate UPF of 50. Always wear a hat, and of course sunglasses !! SPF means sun protection factor.Most sunscreens with an SPF of 15 or higher do an excellent job of protecting against UVB. SPF is a measure of a sunscreen’s ability to prevent UVB from damaging the skin. Here’s how it works: If it takes 20 minutes for your unprotected skin to start turning red, using an SPF 15 sunscreen theoretically prevents reddening 15 times longer — about five hours. SPF 15 filters out approximately 93 percent of all incoming UVB rays. SPF 30 keeps out 97 percent and SPF 50 keeps out 98 percent. They may seem like negligible differences, but if you are light-sensitive, or have a history of skin cancer, those extra percentages will make a difference, and as you can see, no sunscreen can block all UV rays. Sunscreen, regardless of strength, needs to be reapplied every 2 hours. “Reddening” of the skin is a reaction to UVB rays alone and tells you little about what UVA damage you may be getting. Plenty of damage can be done without the red flag of sunburn being raised. Don’t think that you are OK on a cloudy day,up to 40 percent of the sun’s ultraviolet radiation reaches the earth on a completely cloudy day. This misperception often leads to the most serious sunburns, because people spend all day outdoors with no protection from the sun. You can also get the UV rays in the winter, snow reflects the rays, just like water does, and makes them even more potent.So don’t forget sunblock in the winter. That’s why it is so important to use a broad-spectrum sunscreen,offering protection against both UVA and UVB rays. The Passionflower is a natural remedy for anxiety and insomnia. This plant is native to southeast America, but is also grown in Europe now. It is available in various forms, Infusions, Teas, Liquid Extracts, Tinctures and Capsules. Studies of people with generalized anxiety disorder show that passionflower was as effective as some chemical drugs in treating symptoms. According to folklore, passionflower got its name because its corona resembles the crown of thorns worn by Jesus during the crucifixion. Herbs are a natural approach to treat ailments and strengthen the body. They can interact with other herbs or medications you take though, so check with a doctor before taking herbs if you are on prescription medication or are taking other natural substances. I have personally tried Passionflower and it helped me to relax and be able to sleep at night.